Chain Sling or Synthetic Sling? Polyester or Nylon Slings for Lifting? Rigging Hardware: Forged or Cast? 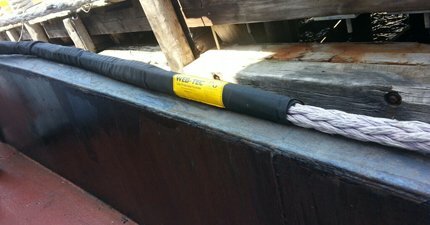 When Should You Remove Crane Wire Rope? Which is the right Binder to Secure Loads? 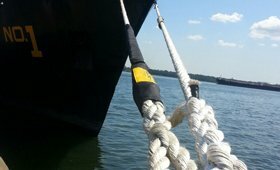 Who Should Perform Wire Rope Sling Inspections and When? What is WEB-TEC Chafe Gear? 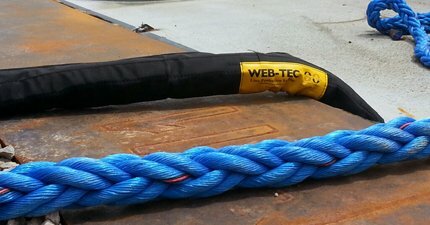 WEB-TEC chafe gear is an extremely abrasion resistant ballistic chafe sleeve that can be easily adjusted and/or moved on synthetic ropes, used by hundreds of marine towing companies around the world. 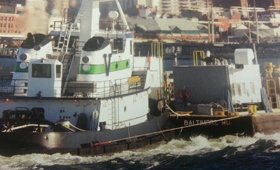 WEB-TEC can also be found on our own Navy’s “T-AKE” Vessels and Heavy Lift Ships. Our chafe gear is extremely light weight, buoyant, and comes in two grades: WT-grade or EX-grade. WEB-TEC offers many advantages over standard chafe gear. Its inherent “memory” combats sleeve binding and its urethane coated inside and industrial grade exterior nylon cover greatly reduce friction and wear. With numerous advantages over the average line protection system, it’s hard to go wrong with WEB-TEC chafe gear. Offers a durable ballistic material design with ease of removal. All WT chafe sleeves float! (Extreme) Features a “double locking” hook and loop closure system that more than triples the shear strength of the sleeve. The cover is made of a high grade woven fabric that offers superior abrasion resistance. Looking for WEB-TEC chafe gear? You've come to the right place. Call us at 908-351-7800! 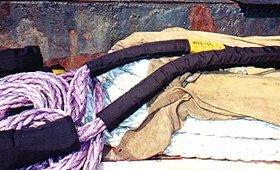 Chafe gear is vital for the protection of synthetic ropes when using them for mooring, pushing, or ship towing. 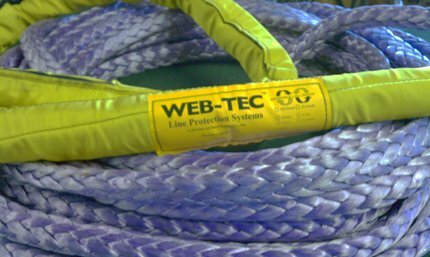 At Bilco, we provide WEB-TEC chafe gear that is easily applied and adjusted on synthetic ropes. Chafe gear helps to prevent substantial wear and tear on synthetic rope, which increases the longevity of the strands. Before buying, you should always ensure that the chafe gear will fit with your ropes. If the protection does not fit through the chocks of the boat, then they will not work.